WEO makes constant efforts to reach out to physicians around the world, and strives to promote quality in endoscopy to serve its members and to champion better patient care globally. 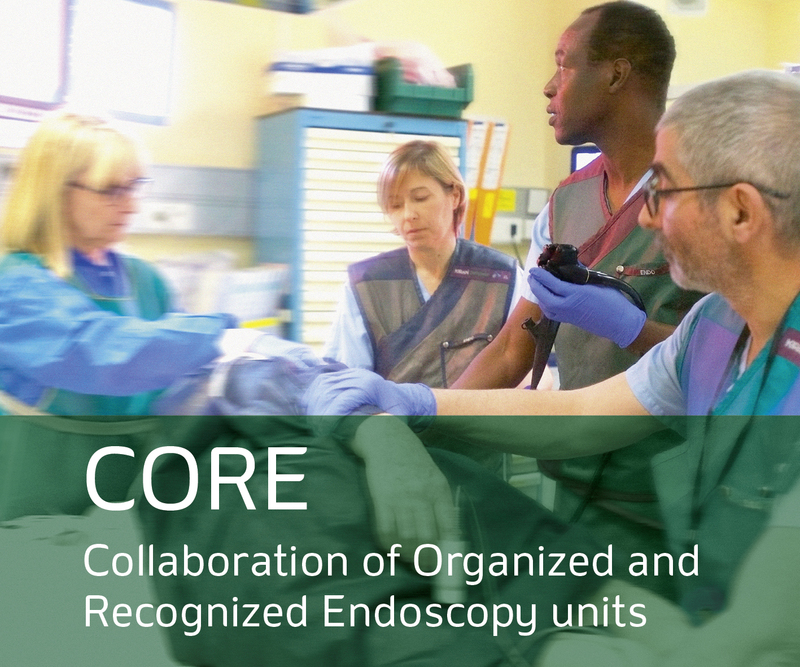 As a part of this mission WEO has established a level of recognition for centres performing quality endoscopy: the Collaboration of Organized and Recognized Endoscopy units (CORE). With this recognition, WEO aims to establish dialogue with endoscopy units around the globe in order to improve the quality of endoscopy practice. Any unit, whether large or small, that practices gastrointestinal endoscopy. CORE is open to all sizes of endoscopy units, from multiple-room facilities to single-physician private offices. WEO will recognize endoscopy units that perform upper intestinal endoscopy and/or colonoscopy and that meet certain minimum criteria for endoscopy safety. These include standards of hygiene, disinfection and training that WEO deems necessary for any practice of endoscopy.